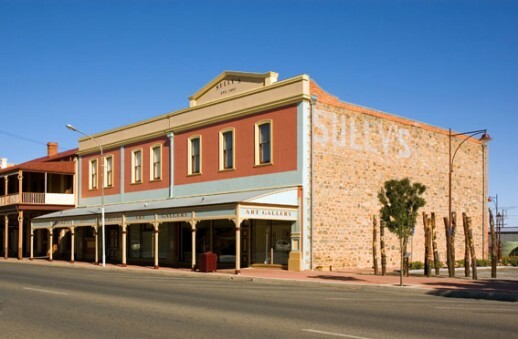 The Broken Hill Regional Art Gallery is the oldest regional gallery in New South Wales, being established in 1904. The Gallery houses the famous Silver Tree, which was produced in the 1880s for Charles Rasp, founder of BHP and discoverer of Broken Hill. The Gallery also houses works by the Heidelberg School Artists, and contemporary artists such as John Olson, Arthur Boyd and Colin Lanceley. We also have a broad collection of artworks by local artists such as Pro Hart, Jack Absalam and Roxanne Minchin. The Gallery is located in a vibrant local art scene, which encompasses more than 40 galleries. Monday - Saturday 10:00am - 5:00pm; Sunday 10:00am - 4:00pm. Entry fee is by donation. Wheelchair access, Volunteer Program, Holiday/Public Program, Shop, Reference Library, Brochure/Information Material, Venue Hire. The Gallery's collection numbers more than 1300 artworks at present. These range from traditional works from the 19th Century to today. They include artworks by Frederick McCubbin, Lloyd Rees, Sidney Nolan, Margaret Preston and Mandy Martin. The Gallery also houses an extensive works-on-paper collection, which includes works by Sidney Nolan, Brett Whiteley and David Rankin. 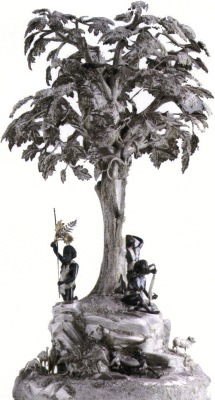 The Silver Tree was created by Henry Steiner for Charles Rasp, who was co-founder of BHP, for his house 'Willyama' in Medindie, South Australia. It was manufactured from Broken Hill silver and beaten out of one single sheet. Purchased by the Art Gallery advisory committee. Oil on Canvas, 33cm x 43cm. Oil on canvas, 107cm x 84cm. Oil on composition board, 60cm x 90cm.